NEHPBA Members. Please sign in with your member login. See "My account" above. Please contact Karen Luther at (978) 440-0344 or karen@nehpba.org if you need assistance and/or your member login details. 2019 NEHPBA Meet & Greet Sponsorship - 02/26/19 - Manchester, NH - SOLD OUT! Thank you to Copperfield Chimney Supply for sponsoring the NEHPBA Meet & Greet to be held Tuesday, February 26, 2019 in Manchester, New Hampshire! 2019 NEHPBA Meet & Greet Sponsorship - 03/27/19 - Plymouth, MA - SOLD OUT! Thank you to Northeast Distribution LTD for sponsoring the NEHPBA Meet & Greet to be held Wedneday, March 27, 2019 in Plymouth, Massachusetts! 2019 NEHPBA Meet & Greet Sponsorship - 04/09/19 - Waterbury, CT-SOLD OUT! Thank you Hearth & Home Technologies for sponsoring this Meet & Greet! 2019 NEHPBA Meet & Greet Sponsorship - 04/30/19 - Syracuse, NY - SOLD OUT! 2019 NEHPBA Meet & Greet Sponsorship - 05/01/19 - Buffalo, NY - SOLD OUT! Thank you to Empire Distributing for sponsoring the NEHPBA Meet & Greet to be held Wednesday, May 1, 2019 in Buffalo, New York! 2019 NEHPBA Meet & Greet Sponsorship - 05/07/19 - Montpelier, VT - SOLD OUT! Thank you BAC Fireside Sales for sponsoring this Meet & Greet! 2019 NEHPBA Meet & Greet Sponsorship - 05/21/19 - Laconia, NH - SOLD OUT! Thank you to Olympia Chimney Supply for sponsoring the Meet & Greet to be held Tuesday, May 21, 2019 in Laconia, New Hampshire! 2019 NEHPBA Meet & Greet Sponsorship - 06/11/19 - Augusta, ME - SOLD OUT! Thank you to Russo Products for sponsoring the NEHPBA Meet & Greet to be held Tuesday June 11, 2019 in Augusta, Maine! 2019 NEHPBA Meet & Greet Sponsorship - 06/25/19 - Worcester, MA - SOLD OUT! 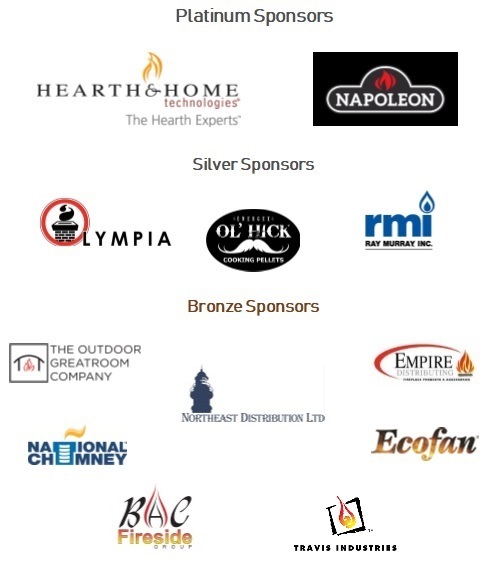 Thank you to National Chimney for sponsoring the NEHPBA Meet & Greet to be held Tuesday, June 25, 2019 in Worcester, Massachusetts! 2019 NEHPBA Meet & Greet Sponsorship - 07/16/19 - Brentwood (Long Island), NY - SOLD OUT! Thank you to Northeast Distribution LTD for sponsoring the NEHPBA Meet & Greet to be held Tuesday, July 16, 2019 in Brentwood, Long Island, New York! 2019 NEHPBA Meet & Greet Sponsorship - 08/06/19 - Albany, NY - SOLD OUT! Thank you to DuraVent for sponsoring the 2019 Meet & Greet to be held Tuesday, August 6, 2019 in Albany, New York! The NEHPBA Board will be in attendance due to this being a Board Meeting location. Do you make your living in the hearth, patio and/or barbecue industry? We are your regional trade association covering: New York & New England. Please consider donating to help support the government affairs efforts on your behalf. Do you make your living in the hearth, patio and/or barbecue industry? We are your regional trade association covering: New York & New England. Join NEHPBA today!